The scandal that recently enveloped Wells Fargo teaches an important lesson about running an ethical business. And Wells Fargo was trying to run an ethical business, despite its huge blunder. For example, Well Fargo avoided many of the pitfalls and risky investments that plagued other big banks in 2008/2009. Here is what happened. Several years ago Wells Fargo decided it was not doing enough cross-selling, Cross-selling means getting customers who use one service, such as checking, to use other services, such as savings or credit cards. There is nothing wrong with cross-selling – all banks do it. Wells Fargo developed a specific strategy to encourage cross-selling, which was to involve its employees in telling customers about other products and services. In order to encourage employees to support the program, Wells Fargo employed the time honored strategy of providing incentives to employees who succeeded at cross-selling. This is where everything went wrong. Employees not only responded to these incentives by cross-selling, they manufactured fake accounts in the names of existing Well Fargo customers. Some customers figured this out, but many didn’t and ended up paying fees on accounts they didn’t even know they had. The problem was huge. In attempting to correct the problem the company fired 5,300 employees and lost its highly respected CEO, John Stumpf. Well Fargo made a number of mistakes including not publicly acknowledging the problem soon enough and not having adequate controls to detect the fake accounts. But what is unique about this problem is that so many employees were involved in the wrong doing. Unlike many corporate crises, this was not one or two rogue executives in an otherwise healthy organization. This was plain wrong-doing on a massive scale. The Wells Fargo mess teaches a clear lesson which is that you get what you pay for. Specifically, you can talk yourself blue in the face about ethics, as many Wells Fargo managers did, but you can not send employees a clearer signal than their paycheck. 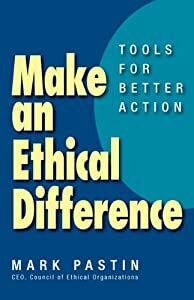 The first reason this is important is that when organizations think about creating an ethical culture, they almost always ignore the organization’s reward system. They print codes of conduct, mandate training and establish ethics hotlines. But if you are rewarding the wrong things, you will get the wrong behaviors. This is as true of the clerk at your local branch bank as it is of the top levels of an investment bank. Organizations signal what they really care about through their reward systems. Remember that the one corporate document every employee reads is their paycheck. The importance of this lesson goes well beyond ethics. An army of management consultants is advising businesses that they can get more out of their employees if they adopt one or another reward strategy instead of pay for performance. The idea is that you can get better performance out of employees if you abandon pay for performance in favor of one or another strategy that rewards “the whole person” and not just the paycheck. The peak of this phenomenon is called holocracy, a veritable tangle of cross cutting evaluations and peer-enforced group-think. The Wells Fargo case shows once again the power of pay for performance. Unfortunately, it also showed the power of pay for performance when you pay for the wrong performance. The performance systems of most organizations are the jealously guarded hostages of fortress HR. Executives who want to run truly ethical – and effective – organizations need to tear down the walls of this fortress before engaging in silly talk about the greater good. You will have a lot better chance of avoiding the sort of ethics crisis that Wells Fargo has undergone if you take charge of your organization’s reward system. You cannot leave your organization’s greatest source of influence on its employees in the hands of the organization’s bureaucracy.